Thought I should share this here. For some of my parts I like to acetone vapor-bath them after printing to really smooth out the surfaces. i found the below rice cooker at a thrift store in my town for $4 bucks and it has worked great ever since! Simply put a bit of acetone in the bottom, turn it on and in a few minutes you have a super smooth print (ABS of course). 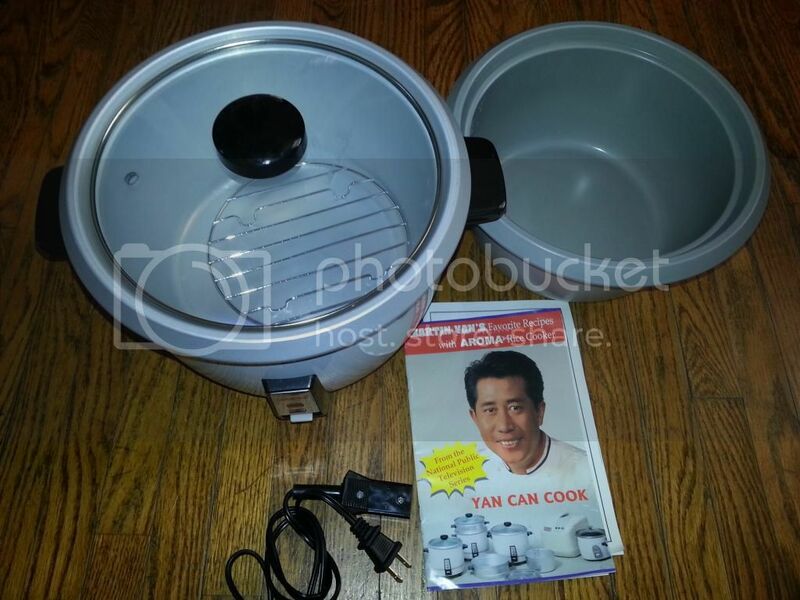 I picked up a grungy rice cooker/vegtable steamer this weekend at the sally anne. Trying to come up with something to set the parts on with little contact. Something like what Angus does in this video. A safer method but it takes a long time. Probaby the best one I've found yet but it may be a little pricey. Finally got around to doing a video on this. Pretty happy with the results every time I use this on ABS. I think I will mainly be using PLA when I get my new printer going forward but maybe I'll keep the old Solidoodle running just for small ABS stuff.